Pre-workout supplements ensure that you can crush it at the gym with 200% force. There are endless products to choose from and all claim that they'll take your training to a new level. However, a lot of these supplements contain a mystery blend of ingredients ranging from guarana to creatine to other stimulants. I however trust Mother Nature and her infinite powers and prefer natural performance enhancers such as beets. 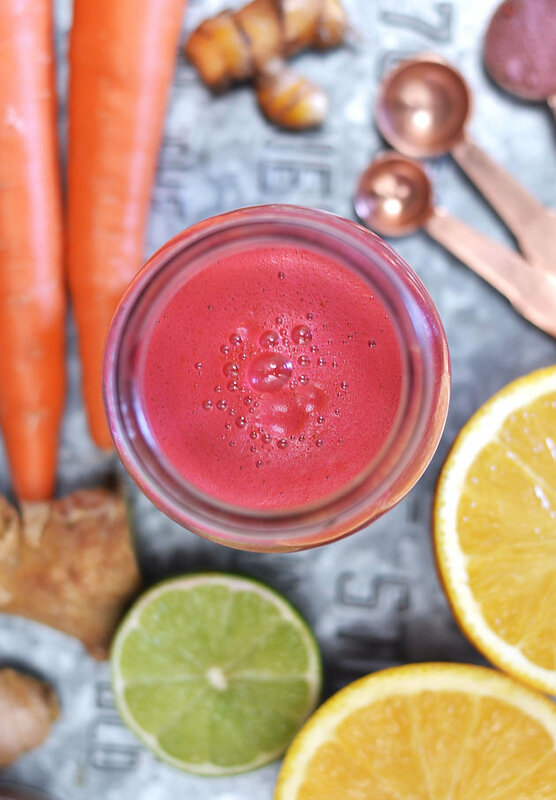 Nitrate supplementation with beet juice has been suggested to improve muscle blood flow and enhance exercise performance in cyclists and rowers. (1, 2) So, why not reap those potential benefits for my own training efforts? 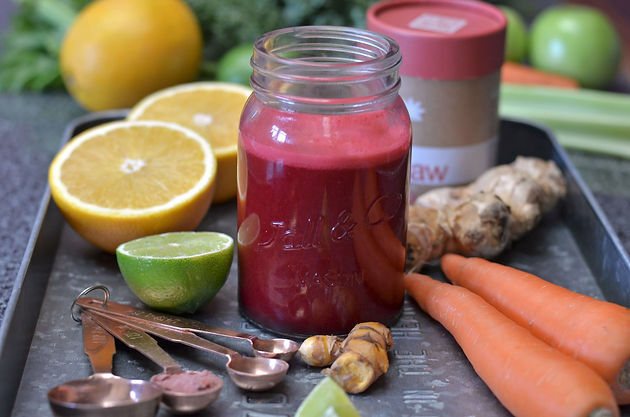 This pre-workout juice recipe banks mainly on the wonderous powers of beets and Amazonia's Raw Workout blend, which is designed to support energy, stamina and hydration with a powerful combination of superfoods, sea minerals, and traditional herbs. 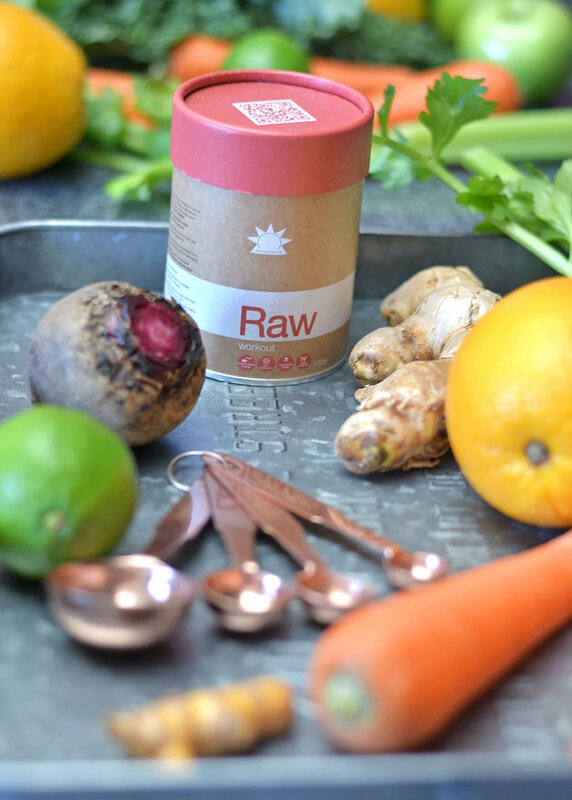 Process all ingredients, except for the Raw Workout powder, in your juicer. 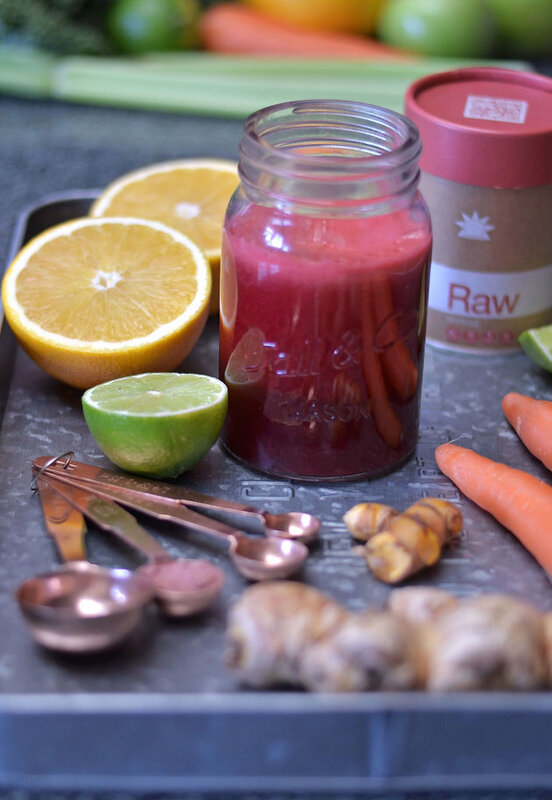 Add 1 teaspoon Amazonia Raw Workout to your juice, stir until fully dissolved and enjoy immediately!